Better Than Never: See You In Two Weeks! Tomorrow I leave for a two week writing residency at the Vermont Studio Center! 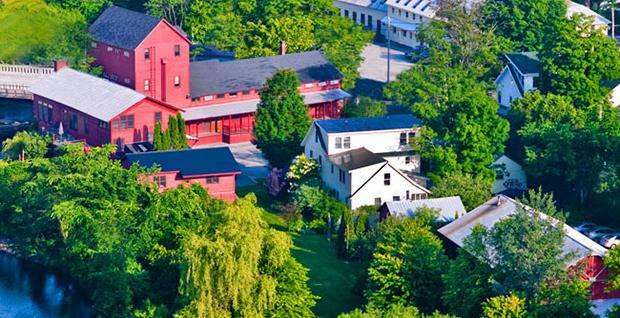 The Vermont Studio Center, for those who might not know, is the largest international artists' and writers' residency program in the United States. They offer residencies and fellowships to roughly 50 people each month, who stay anywhere from two to twelve weeks. I applied for a two week residency last fall and found out in November that I'd been awarded a fellowship, for which I was incredibly honored and grateful. I've been counting down the days ever since, and I can't believe it's finally here. What will I be doing at the Vermont Studio Center? Working on my new novel, mostly. As part of my residency, I get a room to sleep in, a small studio to write in, and three meals a day. For the next 14 days, I will have no obligations. No classes or workshops to attend, no jobs to do, no expectations. Just me, my laptop, a terrible first draft, and a whole lot of library books. In other words: heaven. Because I want to get a lot accomplished during these two weeks, and because this is a rare opportunity to focus so wholly on my writing, I'm planning to cut way back on social media while I'm in Vermont. Just typing that out makes me a little bit nervous, mostly because at this point Twitter is like a fifth limb and I fully expect to feel phantom pains without a steady stream of tweets to get me through the day. I'm going to try to stick to Instagram, since looking at photos is a nice way to use a different part of my brain, so feel free to follow me there. Despite my (admittedly silly) fears, cutting back feels like the right thing to do - honor the time I've been given and use it as well as I can. If you could all do me a favor and make sure nothing interesting or exciting happens for the next fourteen days, that would be great. See you in two weeks, hopefully with a not-so-terrible second draft of my novel. Until then!